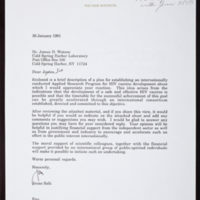 Enclosure from Renato Dulbecco to James D. Watson. 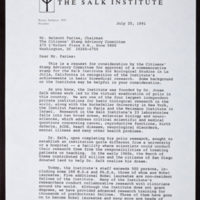 Enclosed with letter from Renato Dulbecco to Belmont Faries. 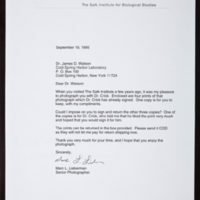 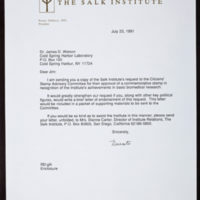 Enclosure from Jonas Salk to James D. Watson. 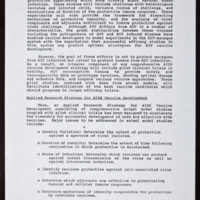 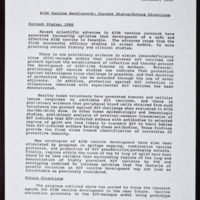 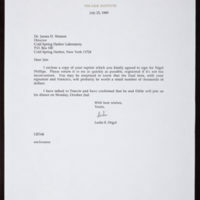 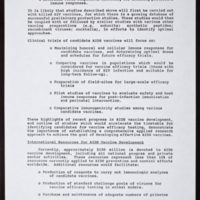 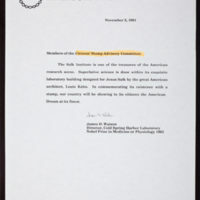 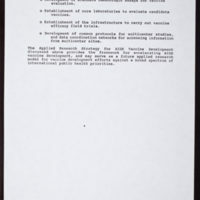 Enclosed with report on AIDS vaccine development.